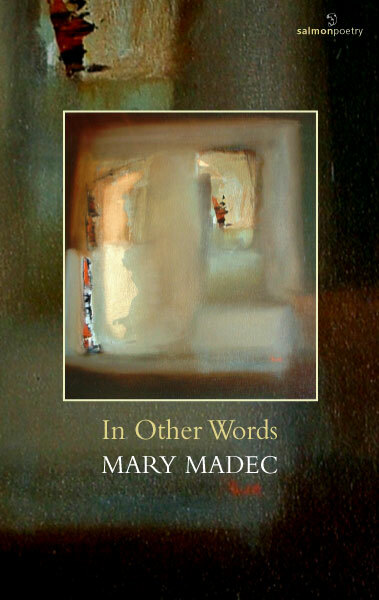 In this début collection, Mary Madec tests the power and resilience of language to explore the intractable intimacies of our connection with the world, from first memories and love to brave and incisive portraits of real and imagined lives. Mary Madec finds an idiom for a complex inner world which resonates truths we all know. There is an underlying compassion and humour in this book which takes us to new places in ourselves and an intelligence and clarity which helps us to see exactly where in fact we are. Mary Madec was born and raised in the west of Ireland. She received her early education at NUI, Galway, obtaining her B.A. in French and English, and her M.A in Old English; in 2002 she received her doctorate in Linguistics from the University of Pennsylvania, USA. She has taught courses for NUI, Galway, UPenn, and Open University and is currently Director of the Villanova Study Abroad Program in Galway. She has received awards and accolades for her work in the Raftery Competition 2007, the WINDOWS Showcase and Anthology 2007 and the Maria Edgeworth Competition 2008. In April 2008 she was also the recipient of the Hennessy XO Award for Emerging Poetry. With her husband Claude Madec of the LIFE programme (Brothers of Charity Services) she started up a community-writing project, Away with Words, now in its third year. trying to decipher the rules by which she is put together. or if the head or heart rules. as she inflects her voice. Review: After the Revolution by Kevin Higgins, The Galway Advertiser, August 05, 2010. Mary Madec has been a regular participant in the poetry workshops I facilitate at Galway Arts Centre. So, I am biased in the sense that I was present at the birth of many of the poems in her debut collection, In Other Words. In the title poem she takes a beautifully witty swipe at â€œthe wise fellas/up at the university. In 'Pope Has Breast Cancer' she looks forward to a time when we might have a Pope called Christina. In 'When They Told Me About My Brother' she remembers the day she was told that her twin brother was autistic and how she 'ran like the Ugly Duckling to a silent lake seeking cover'. I have long believed that Mary Madec is one of the best new poets we have.